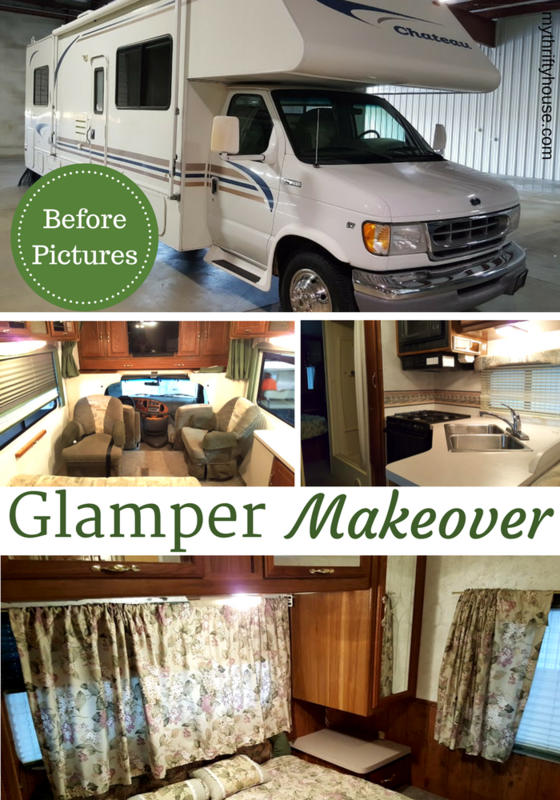 Have you ever heard of the term glamper? 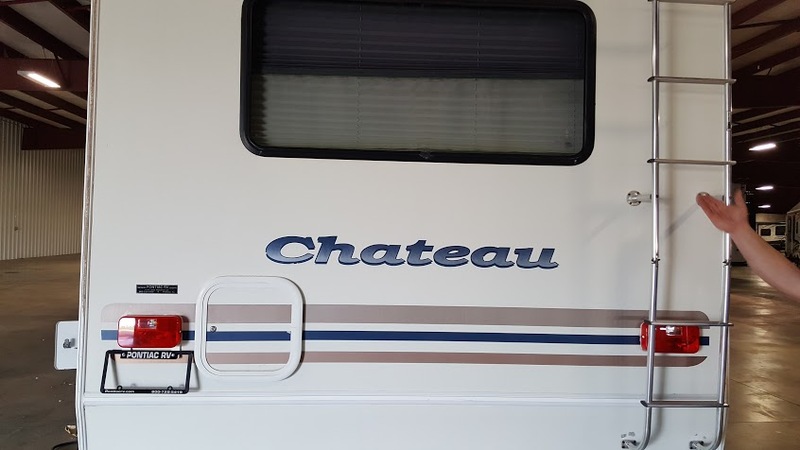 It’s a new word used to define a glamorous camper. 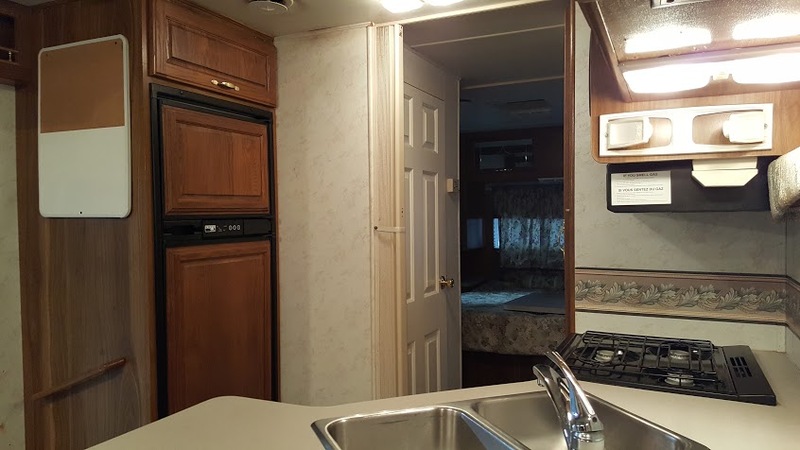 When you’re glamping, there’s no so called “roughing it” because your glamper is basically a tiny house on wheels. 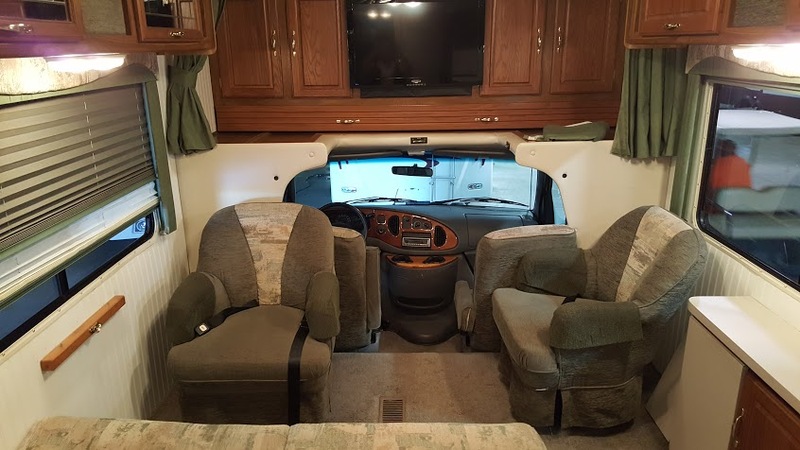 No tent or sleeping bags required, WIFI usage is acceptable as well as heat and air conditioning. This year my husband and I did what many people dream of doing. 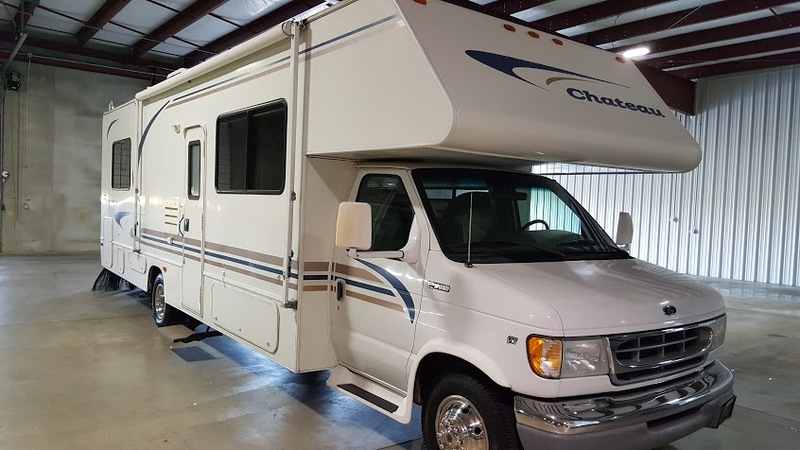 We purchased an ugly, used RV (1999 Chateau) with the vision of doing a complete interior makeover and creating our own glamper so we can travel this beautiful country with all the comfort and conveniences we have in our 3,000 sqft home. 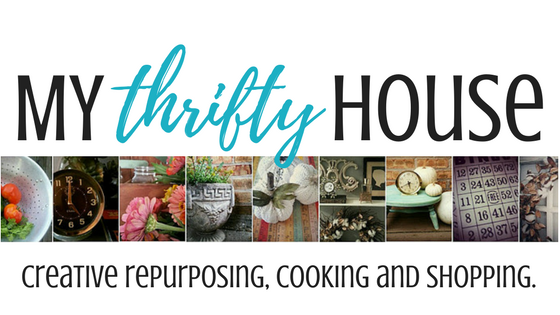 Armed with a long “to do” list, never ending “wish list” and a growing Glamping Pinterest Board, we plan to document the whole makeover process right here as we incorporate thrifty, creative touches throughout the our tiny home (aka Chateau Bryant). As with any DIY project, I am sure you will get to see the good, the bad, the ugly and the unexpected with this makeover. 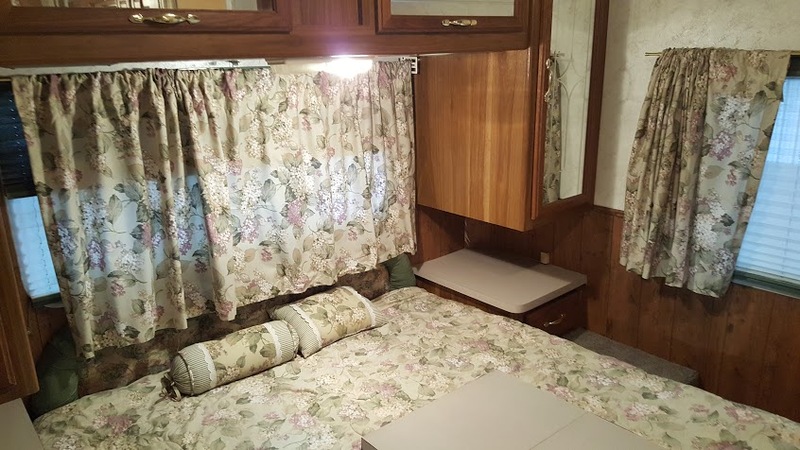 The living room with flat screen TV, nasty brown cabinets, disgusting dirty carpet, 1990’s sage color scheme and ugly window treatments. 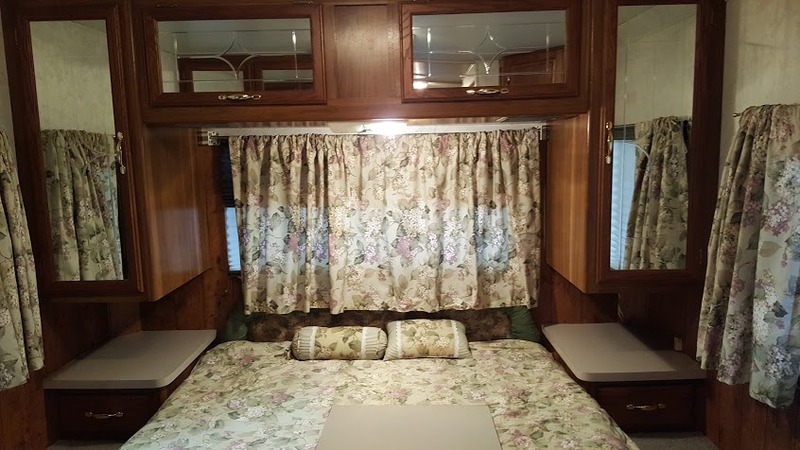 The bedroom with more nasty brown cabinets, lots of mirrors, more 1990’s sage color scheme, hydrangea bedding & curtains and nasty carpet. 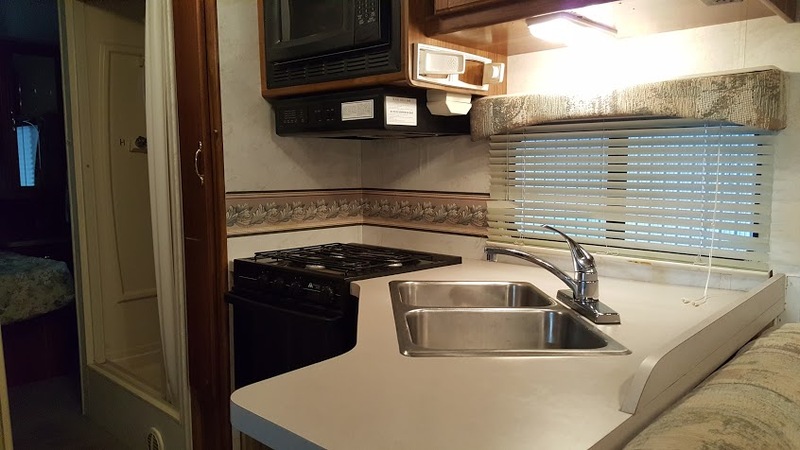 The kitchen with plastic lighting, laminate countertops, metal window blinds, wall paper and disgusting appliances. 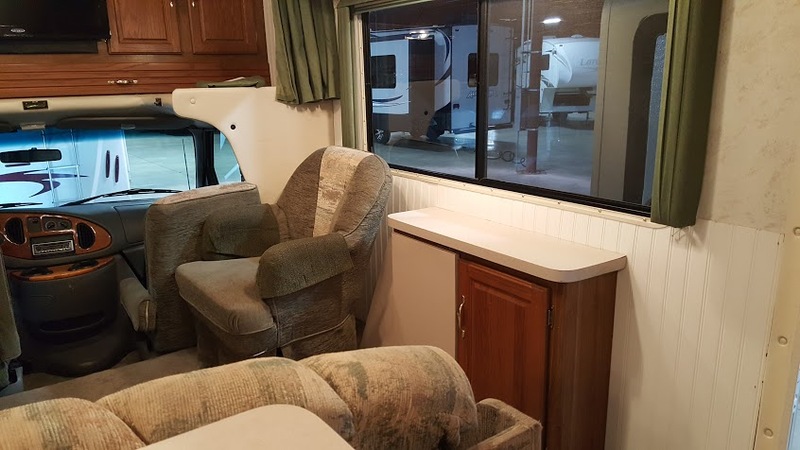 I am quite sure this list will be continuously changing but for now this is the “to do” list that will keep us busy all winter as we push through this makeover and prepare for our first major road trip in the spring.